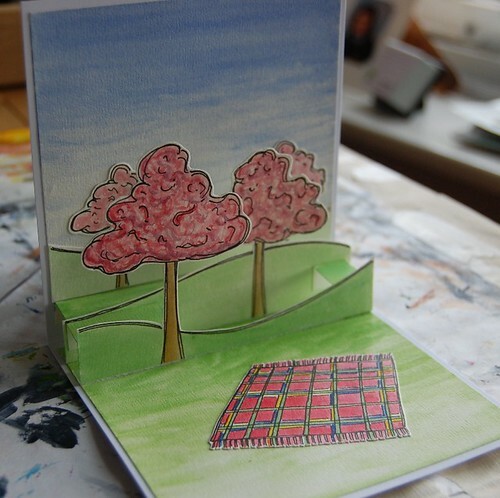 Pop up for a friend drawing of a picnic blanket under blossom filled trees. 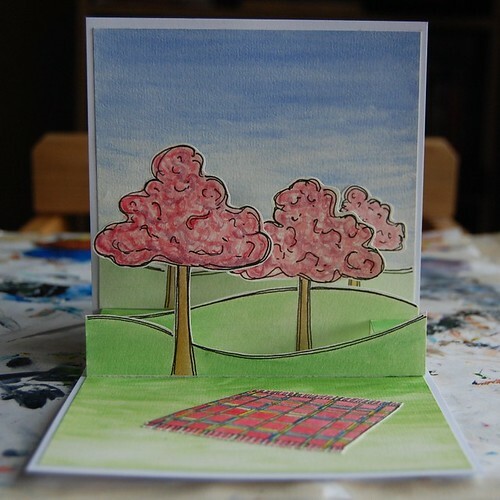 Drawn in ink with watercolour. 125mm when folded flat. Your work is stunning!!! Thanks for sharing! !